Unsuspecting advisors may not take the time to compare SEO service providers before buying search engine optimization services. But skipping your due diligence on this investment is a mistake. SEO companies serving financial advisors are not created equal. What makes SEO4Advisors different? 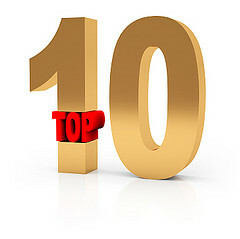 Here are 10 reasons SEO4Advisors is the best SEO company for financial advisors. 1. We treat SEO as a service, not a commodity. The industry’s leading website vendors offer SEO services as a website add-on. But good SEO is an ongoing process, not an add-on. We track your website for 5 months after optimizing it to tweak accordingly and make ongoing recommendations. 2. Keyword research. We provide up to 10 hours of keyword research per client before even starting to write your website content. The leading all-in-one advisor website vendors skip keyword research entirely and spend only 10 hours total on optimizing your website. 3. Cut out the middle man. Most website vendors serving financial advisors farm out optimization work to cheap writers with little SEO experience and strict limits on the amount of time they can spend on the project. We spend as long as it takes to do the job right and save you lots of cash by cutting out the expensive middle man. 4. SEO and Online Marketing is our only service. We provide the best SEO and online marketing services because we stick to our strenth and let our partner firms offer other services like turnkey websites, public relations, and practice management coaching. This lets us offer advanced SEO services for advisors like content creation, blog optimization, and white-hat link building, which no other major player in the industry offers. 5. We know your business. Our founder, Brien Shanahan, worked for one of the most recognized financial advisor website vendors and a leading practice management website for over four years before founding SEO4Advisors in 2011. He started SEO4Advisors because he was frustrated with the limited SEO offerings of the biggest industry players and wanted to do better. 6. Transparency. Unsure which SEO firm is best for you? Ask them about what kind of transparency they provide. Do they track your site’s post-optimization improvement with clear reports that compare you with the competition? Do they analyze your Google Analytics and make recommendations to help improve conversion ratios? Probably not. We provide transparent post-engagement reports for at least 5 months after every engagement. 7. Error reports galore. We run comprehensive reports to check your website for dead links and html errors, while most website vendors avoid this as it would bring attention the html coding flaws of their programmers and website creation systems. 8. Discounts! Our industry-leading SEO services don’t have to cost you a fortune. We offer 5% discounts just for liking us on Facebook, connecting on Google+ or LinkedIn, or signing up for our E-newsletter. 9. Good Karma. We give 5% of net profits to charity. Choose where your 5% goes: either to one of our pre-screened and favorite charities or your own favorite. Together we’ll not only bring you new business but help make the world a better place. 10. Free custom SEO quote. We’ll analyze your website and compare with your local competition to create a custom SEO analysis and price quote. No more paying for services you don’t need. Just complete the contact form and request a free quote (serious inquiries only please). **Bonus: For a limited time, get your website optimized for only half the risk! We only get the second 50% payment after we get you results! Check out the details on our promotions page. Need more proof that we’re the best SEO company for financial advisors? Ask for a case study of a recent client and see how much they’ve improved their keyword rankings and Website traffic after hiring us. For a quicker test, google the term “best SEO company for financial advisors” and check out the top listings.